The plumbing system in your home should operate without you realizing that it’s even there. However, sometimes you may have to deal with broken pipes, leaks on water meters, or faulty installation. If you face any of these plumbing problems MT Dunn Plumbing should be your go-to place for any repair needs. We provide a variety of plumbing services in and around Hillsboro and Washington County. We also work with you to help you with any fixture installation and kitchen renovations. 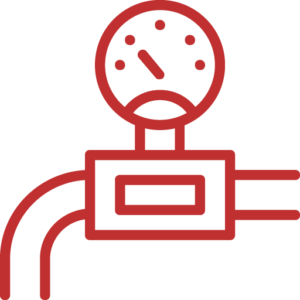 While having hot water at your home provides convenience, sometimes, water heaters fail at the most inopportune times. The heater may decide to break down entirely or merely a malfunction. Fortunately, the experts at MT Dunn Plumbing are qualified and have experience handling water heater repair & replacement in Hillsboro. Having been in the service industry for a while, we have plumbers who can identify the cause of your water heater issues and work to make the required repairs. As a homeowner, there are certain signs that you need to look out for that could indicate a problem with your heater. Addressing these issues at the onset helps you avoid bigger and costly problems in the future. Some of the vital signs you need to look out for include a leak in the water heater tank, signs of rust, sediment buildup at the bottom of the heater, discolored water, or you notice that your home only has cold to lukewarm water. Also, if your water heater is older than ten years, it may need to be repaired or replaced. But when should you replace your water heater? A tankless water heater may last for up to 20 years while a traditional tank-style heater may go for 10 to 15 years. If you’ve begun hearing some plumbing noises and notice that your heater may be nearing the end of its lifecycle, it’s best to invest in a new model. At MT Dunn Plumbing we have a team trained to handle a variety of hot water heater products. We also have the experience with instant hot water install. Also, we service various water heater brands by providing prompt solutions when you report a problem. Our company also seeks to not only get the heater working again, but we also work to prevent it from breaking down again. We are also happy to inspect your water heater even when there isn’t a visible problem. Having an inspection makes it easy to catch any mechanical problem before it happens. This prevents future damage. Remodeling for most homeowners starts out as an exciting project. This involved choosing a themed décor and a design that will suit your space. When you’re thinking of remodeling the kitchen, you want your new fixtures to match with the lighting, countertops, and cabinets. Also, when remodeling a bathroom, you want a functional space that is accessible and comfortable. However, things don’t always go as expected. At times, a project that needed a week to complete can run for several weeks. This is expensive and can interfere with your daily schedule. Whether you’re looking to upgrade your kitchen or you’re designing a new home and need the kitchen functional, we at MT Dunn Plumbing can help you achieve this. Sometimes a remodel may involve additional fixtures that were originally not there. For example, you may need an ice maker line if you need a fridge with an ice maker. It’s essential to talk with a plumber who understands all the plumbing being put in place for every enhancement you’re looking to make in your kitchen. If you don’t have a water shutoff system linked to your dishwasher, refrigerator, and your sink, this is something you might want to consider during a remodel. You don’t want to end up with a water disaster if you can’t shut off the primary source. Having shutoffs means that you get to have more control over your plumbing and also makes it easy to respond to leaks. Our plumbers are trained in finding & repairing leaks and can advise you about adding a shutoff when getting your plumbing system ready for a remodel. Upgrading to a modern plumbing option is one of the best investment that you can make when remodeling your kitchen. Most homeowners have old style iron pipes running through their home. This exposes them to rust, not to forget regular leaks. Upgrading to options like PVC makes work easier and allows you to re pipe water pipes. Working with MT Dunn Plumbing ensures that your kitchen & bathroom sink repair runs smoothly without you having to make multiple repairs and spend more than you have to. Our aim is to make the project stress-free for your convenience. A small change can create the biggest effect. All you may need to breathe new life into a bathroom is a change of faucets. When it comes to replacing or repairing these faucets, the experts at MT Dunn Plumbing offer all the support you may need. We can turn your bathroom into a spa-like experience with streamlined and modern faucets that look beautiful and work efficiently. Our bathroom faucet, repair & install is unmatched in Hillsboro. Other problems may cause your faucets to malfunction. These problems include valve seat problems, O-ring issues, broken washers, or issue with past installations. Buildups can lead to damage, which might require valve repair. If you’re always dealing with dripping or leaking faucets, you might want to replace them. Leaky faucets not only cause water damage, but they could also cause issues with your shower or tub. You’ll realize that the cost of these repairs can be used to install a new faucet. At times, you want everything to blend in when doing a renovation. New fixtures add dimension to a remodel. Changing your faucet is an effective way to switch things up if you don’t want a complete makeover. You might want to consider a repair if your faucet is new and experiencing a malfunction or a leak. Our technicians are trained on tub faucet repair & installation. This ensures that you’re getting the best services in Hillsboro. It’s important to note that replacement can be challenging depending on where the technicians need to access. While an over the phone description may be enough, sometimes, we may need to send a plumber to assess the scope of work. Nothing causes serious disruptions to your home like a clogged or broken toilet. Clogs occur when non-water soluble items or too much toilet paper is flushed. Leaky toilets are also a problem most homeowners face. Most toilet leaks are internal, and you may not see water dripping on the floor. However, you’ll find evidence on your water bill. Other problems you may encounter with your toilet include bowl draining slowly, broken hardware or lose seats, and water that won’t stop running. When you experience any of these problems, do not panic. We are always available to do the job well the first time. You don’t have to expose yourself to health hazards or hassle with equipment you don’t understand. We are Hillsboro’s choice for plumbing needs, and can also handle the repair of your toilet. Some of these signs that indicate that you might need a new toilet. The include, cracks in the porcelain, constant clogs, and recurring repairs. Also, old toilets use a lot of water when you flush. You might want to replace your toilet to conserve water. New toilets use half the amount of water for every flush. The good thing is that the flushing power remains the same. Toilets come in various shapes and sizes. Consult us to determine which toilet will best fit your space. MT Dunn Plumbing can help with toilets repair & install. We can also advise you on ways to maintain your toilet to increase its lifespan. Most homeowners do not know that plumbers fix more than pipes and dripping faucets. We have trained technicians who can work on gas pipe repair. 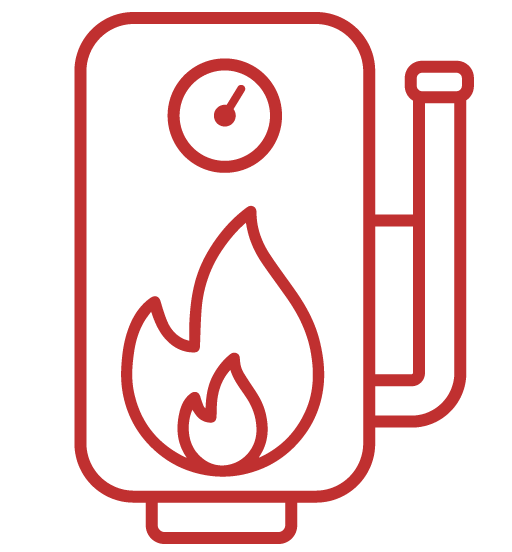 Gas leaks often go undetected and can be dangerous to you and your family. But how will you know you have a gas leak? Some of the signs include noises like whistling or roaring, a rotten like smell, or exposed pipelines after floods or earthquakes. If you detect any foul smell, shut off the gas valves and ensure that all electrical appliances are off. Open the windows and let fresh air in. Also, avoid using your cell phone while you’re still in the vicinity. Do not be tempted to look for the source of the leak. You can now call a gas line specialist like MT Dunn Plumbing as soon as you’re in a safe area. Sometimes only using gas leak detection equipment won’t work. You may need to have the system tested to find the leak. A gas line is a dangerous and volatile system. You need to treat it with care to keep you and your loved ones safe. Your gas line may need a replacement or repair if you notice signs like corroded pipes, a rotten odor, a leak, or exposed lines. What’s more, if your gas line is over 20 years, you may need to consider a replacement. STRUGGLING WITH WATER PRESSURE ISSUES? Water pressure is something a lot of people are not concerned about until it becomes problematic. Low water pressure can disrupt regular household work that needs water to run. A lot of factors can cause low water pressure. These include a pipe leak or a buildup of minerals which can cause a blockage, leading to low water pressure. Our team of plumbing experts has experience and training in water pressure testing and repair. We will check out any areas that may be interfering with your water pressure and have your house functioning normally in no time. At MT Dunn Plumbing, we provide comprehensive plumbing services including repair, maintenance, and installation services for your home or business. This includes gas pipe installation, garbage disposal repair & install, bath and kitchen remodel water heater installation and service, and much more. We work with qualified plumbers in the Hillsboro area. Your plumbing needs can now be handled under one roof. Don’t panic in case of a plumbing emergency, get in touch with us.